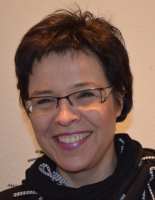 From 1992 to 2003 Ulrike Peter was a member (since 1998 the head) of the research group “Griechisches Münzwerk” (Ancient Greek Coins) at Berlin-Brandenburg Academy of Sciences and Humanities (BBAW). Since 2007 she is involved in the project “Census of Antique Works of Art and Architecture Known in the Renaissance”. Her research and publications focus on Thracian coinage and on the perception of ancient coins in the Renaissance. In research group (B-4) Spatial Identity. Ulrike Peter studies the coins of the ancient city Philippopolis in Thrace with a special consideration of municipal identities.